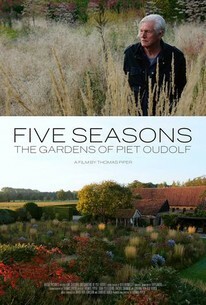 Five Seasons: The Gardens of Piet Oudolf, directed by Thomas Piper, is a documentary about the work of Piet Oudolf, a garden designer based in the Netherlands who designed famous gardens like the ones at the High Line. Who is Piet Oudolf? Piper seems less concerned about his life or getting to know him as a human being; he focuses the vast majority of the doc on what his gardens look like, the process it takes to design them and his philosophies on nature, beauty and gardening. He explains why he like brown and grey flowers; even dead flowers are fine to him. It's not all about what's traditionally aesthetically pleasing to the eye, like colorful flowers. Watching him designing his gardens, observing them and discussing them is fascinating, but only up to a point. Around the 30-minute mark, Five Seasons begins to become tedious and lethargic especially with its occasionally sluggish pacing. 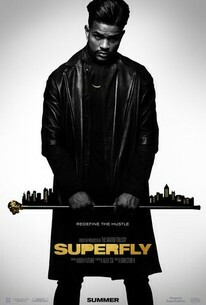 Every great doc should find the right balance between entertaining the audience, provoking them emotionally as well as intellectually, but this one ultimately fails to find that balance. You never feel like you truly got to know Oudolf. Without enough insight into the life of Oudolf or some sort of narrative thread or conflict that goes beyond a basic introduction to Oudolf, you're just left with the picturesque images of his gardens to admire. 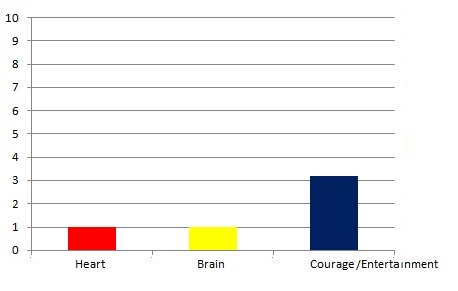 If you're passionate about horticulture, you'll at least feel mildly engaged. This isn't the kind of doc, though, that will create new fans of horticulture or of Piet Oudolf for that matter. Five Seasons opens at IFC Center via Argot Pictures. Number of times I checked my watch: 5 Released by Columbia Pictures. Opens nationwide. Questions? Comments? Please click here.